This week, it is Runaways #11. Written by Rainbow Rowell (Eleanor & Park, Carry On) with art by Kris Anka (Captain Marvel, Star-Lord) and colorist Matthew Wilson (The Mighty Thor, The Wicked + The Divine), this issue showcases how this creative team has taken the series back to its roots while maturing the characters in enriching new ways. Note: This review reveals major plot points. Reviving a dormant superhero property is a tricky endeavor, especially when creators attempt a back-to-basics approach that tries to recapture the magic of a bygone era. To pull this off successfully, the team needs to understand the qualities that made the original concept so engaging, but also account for the ways these characters, their circumstances, and their larger superhero world have changed over time. Writer Rainbow Rowell, artist Kris Anka, and colorist Matthew Wilson had a huge challenge with the relaunch of Marvel Comics’ Runaways, a series that had difficulty holding on to readers after the departure of original creators Brian K. Vaughan and Adrian Alphona. It had been eight years since these teen superheroes headlined their own ongoing title, but with the debut of a new Hulu TV series, it was time for the group to make its big return. This relaunch immediately established its reverence toward the past with its initial marketing campaign, with a first issue cover that mirrored the promotional image used for the book’s debut in 2003. Each of the main characters had their own teaser one-sheet breaking down their backstory and current emotional state, accompanied by a full-body shot giving readers their first look at Anka’s take on the highly specific fashion design that made the original Runaways so stylish. The promo materials gave the indication that this book was in good hands with the new creative team, but that was just a small taste of the thoughtful, captivating storytelling to come. The past year of Runaways has surpassed the original run when it comes to character development and exploring how this group of teenagers and young adults copes with intense trauma in a superhero universe. Vaughan and Alphona defined who these characters are, but they were always dealing with larger plots that prevented them from focusing entirely on the personal relationships. The first volume had the teens facing off against their parents, and while there’s a lot of emotion in those issues, not that much time is spent exploring the complex family dynamics. Hulu’s Runaways may take too long getting the kids to actually run away, but it gives viewers a much better idea of how these children interact with their parents than the comics. Vaughan and Alphona didn’t have the page count to go into that level of detail, especially with the threat of cancellation always looming over their heads. 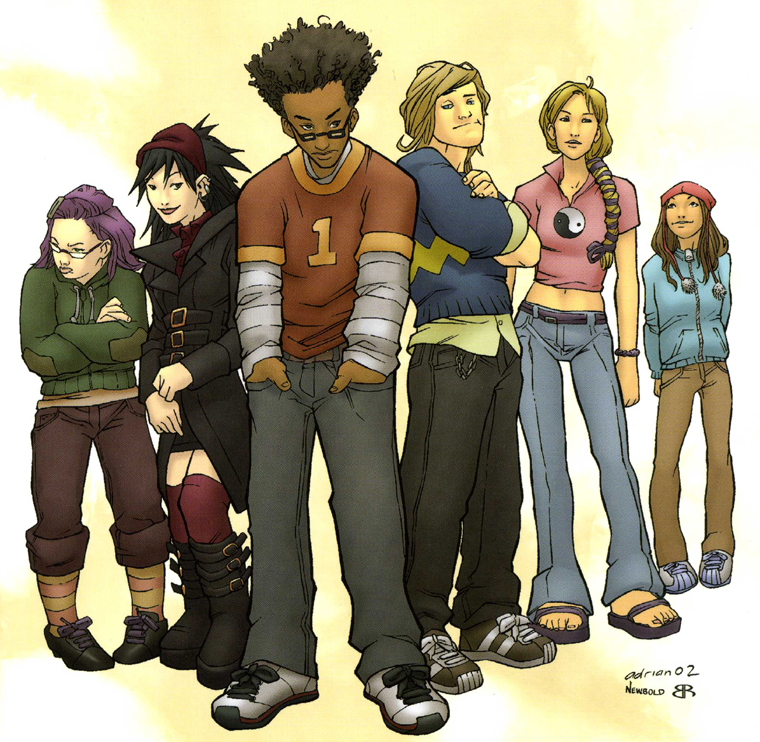 The second volume of Runaways gave the series stronger ties to the larger Marvel Universe with appearances from former teen superheroes and the Avengers lineup of the mid-’00s, but the selling point of this series was always the relationships between childhood friends forever bound by the discovery that their parents are supervillains. Outside forces were always secondary to this internal drama, and the book lost steam when future creators leaned into new threats instead of focusing on how the central characters interacted with each other. Vaughan and Alphona delivered a major blow to Runaways when they killed off Gertrude Yorkes, the acerbic, anti-authoritarian young rebel who was the heart of the series. She was the embodiment of the book’s central idea that distrust of parents (and adults in general) is justified because of their villainous behavior, and the series never recovered after losing her. But the door was left open for Gertrude’s return by having a future version of the character travel to the past with a warning for the team, so it was only a matter of time until someone decided to bring her back for good. Writer Kathryn Immonen and artist Sara Pichelli teased a resurrection during their excellent, far-too-short run on the series, but Rowell and Anka kicked off their new series by bringing Gertrude back for good. Of all the Runaways, Nico is the one who’s had the most success breaking through to the larger Marvel Universe as part of the all-women Avengers team, A-Force. But that team didn’t last, and because Nico is a lower-profile character that doesn’t make the superhero team rounds, Rowell has the opportunity to delve into the emotional toll of getting a taste of the big time just to have it taken away. Nico is insecure and lonely at the start of this new series, desperate for personal connection but uncertain about how to rebuild her broken family. Luckily, she doesn’t have to take action because Chase has already put in motion a sequence of events that brings the old gang back together by force. The most recent Runaways #1 is a risky first issue, delivering one long, tense scene of Nico and Chase trying to save the dying Gertrude, who has been pulled from the past by her time-traveling boyfriend. It prioritizes aggressive, immediate emotion over plot, indicating that this creative team is most concerned with exploring how these characters feel about all the crazy stuff happening around them. Rowell finds room for superhero action in her scripts, but the best issues of Runaways are the transitional chapters between larger arcs that don’t have any fights but are packed with conflict. The first arc of the current Runaways series focuses on the challenges of rebuilding a chosen family broken apart by time and circumstance, but as the series continues, it situates maturation as its central theme. The second arc contrasts Molly’s anxieties about adolescence with Gertrude’s frustration that she can’t grow up fast enough to be with the boy she loves. As the oldest member of the team, Chase has decided to step up and take more responsibility for the well-being of his family. This also functions as a handy distraction from the fact that he can’t have a physically intimate relationship with Gertrude, who is still a minor while he’s now in his 20s. Longing is a major aspect of this book, with Nico joining in as she pines for Karolina, who has managed to live a healthy, well-adjusted life after the Runaways broke up. Victor Mancha is the other big resurrection in this series, brought back from his death in The Vision as a detached head that doesn’t want a body because it makes it possible for him to realize his destiny as a supervillain. Every character in this series is clearly defined with complex emotional issues and deep personal relationships, giving Runaways the best ensemble in superhero comics. Rowell has brought back most of the original cast—Alex Wilder is still out there after terrorizing Harlem in Power Man & Iron Fist, but he hasn’t shown up in the series yet—and she takes advantage of each members’ recent history to enrich their individual stories. The inclusion of Power Pack’s Julie Power as Karolina’s girlfriend gives the series a tight connection to a beloved past Marvel property centered on young heroes, but the most surprising addition to the supporting cast is Victor’s old Avengers A.I. teammate Doombot. Dressed in a dapper green double-breasted suit, Doombot has the haughtiness of Dr. Doom, but like the rest of the cast, he’s a lonely soul searching for a family. Rowell uses Doombot to explore how characters are thrown into superhero limbo when their books finish, showcasing the unexplored potential of forgotten concepts brought back in a new context. 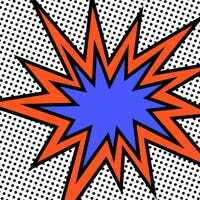 Writing for novels and writing for comics are two very different things, and there can be a steep learning curve when novelists jump to graphic storytelling. The transition is exceptionally smooth for Rainbow Rowell, who knows exactly when to paint a picture with words and when to let the artwork carry the story. Runaways #11 is a prime example, beginning with narration that serves as a gateway to memory, breaking down Gertrude and Chase’s old morning routine from when they were a couple. It’s important that the reader doesn’t get a concrete image of these events; Rowell has them create this scene in their head, just like how Gertrude recreates it every time she interacts with Chase. Runaways #11 is composed of two separate stories that spotlight how well Rowell works within the comic book form. Most writers struggle to make a 20-page single issue a complete, satisfying read, but Rowell delivers a 15-page main story and a five-page backup that both have powerful emotional impact. The main story focuses on Gertrude and Victor, with Gertrude trying to figure out her place in a world that has changed significantly in the two years since she was dead. Victor knows what he wants for himself, but has difficulty asserting his agency when others think they know what is best for him. The backup story ties in nicely with the idea surrounding Doombot, giving readers an update on Klara, the character who joined the team at the end of Joss Whedon’s run on the series. Her fate has been one of dangling plot threads of this run, and Rowell ties it off in a way that gives Klara a happy ending while keeping her out of the series as it goes on. It’s also an important counterpoint to this series’ theme of distrusting adults, showing a young character who chooses to believe in the goodness of her two foster dads. The love they’ve shown her has helped Klara reject the homophobia ingrained in her by her early 20th-century upbringing; she refuses to leave her happy home to go back to the life of danger she never wanted in the first place. Runaways is filled with clever little touches, like letterer Joe Caramagna starting each issue with an arrow-shaped caption that carries the graphic motif of the book’s logo and recap/credits page. Anka’s hand-lettered titles for each issue help set a specific tone. The most recent issue opens with a scene highlighting Gertrude’s yearning for Chase, amplified by her seeing her name tattooed in a heart on his toned abs. As she walks away from him, the title of the issue appears in a flowing, semi-cursive font: “Am I The Same Girl You Used To Know.” The style imbues them with emotion, the words looking like they were written in a diary. The emotional high point of Runaways #11 is a silent sequence that has Gertrude taking a solo stroll through the streets of Los Angeles and realizing that her purple hair doesn’t set her apart from the crowd anymore. It makes remarkable use of color as a storytelling tool, particularly in a splash page showing Gertrude standing at the entrance of The Grove, where she’s surrounded by people sharing her signature hair color. Putting The Spirit Of Los Angeles statue at the center of the page serves as a reminder of Gertrude’s death and resurrection, and now that she’s received a second chance at life, she needs to figure out who she is in this new world. Rowell lets Anka and Wilson carry the storytelling here, putting the focus on the visuals because so much of Gertrude’s revelation is based on what she sees. Gertrude starts her transformation by giving herself a fresh look, dying her hair brown and buying a cute new wardrobe. Anka’s fashion design skills play a huge part in Gertrude’s growth in this issue, and the reveal of her glow-up is a turning point for the entire series. Gertrude is the character with the strongest ties to the past given that she’s literally been pulled out of it, but she’s embracing the possibilities of the present to become a more confident version of herself. Everyone in Runaways is growing up, but the creative team doesn’t confuse maturity with grimness or despair. These young heroes are growing up so they can find love and joy with the people they care about the most, overcoming the pain of the past to give themselves a brighter future.